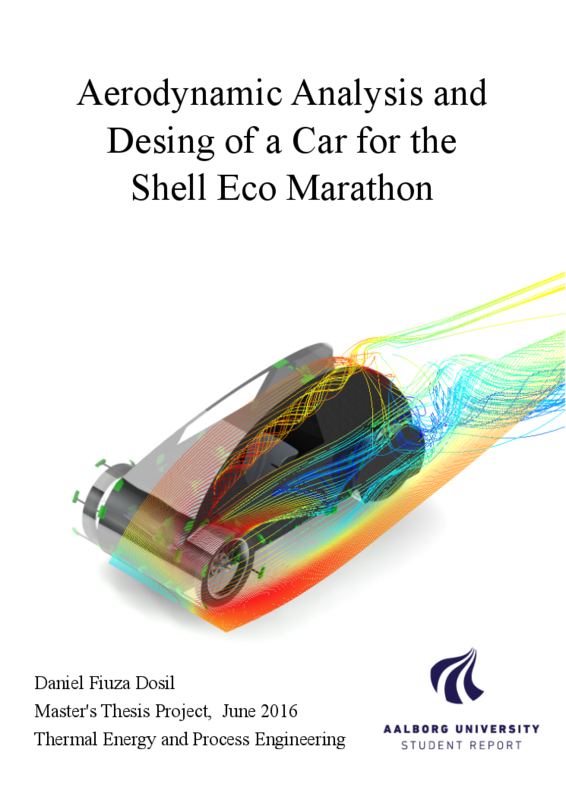 In the pursuit of an ultra energy efficient car, the aerodynamic analysis of the car used by the Team Aalborg Energy in the Shell Eco Marathon competition is essential to further improve its fuel efficiency. An extensive computational and experimental analysis of the car was performed revealing the drag and lift coefficients, the aerodynamic deficiencies and the flow features. Several add-on modifications of the current vehicle with the intent of reducing the drag were designed and tested (including tail extension, edge rounding, wheel skirt and vortex generators). The individual drag reduction of these modifications varied between 9% and 35% from the current design. The author was also responsible of complete re-design of the car, obtaining a vehicle with a remarkable aerodynamic performance (the drag coefficient Cd was reduced a 80% from 0.61 to 0.12). With this new design the driving range of the car would be expected to be increased a 41%, with a new estimated fuel efficiency of 877 km/L on gasoline equivalent.